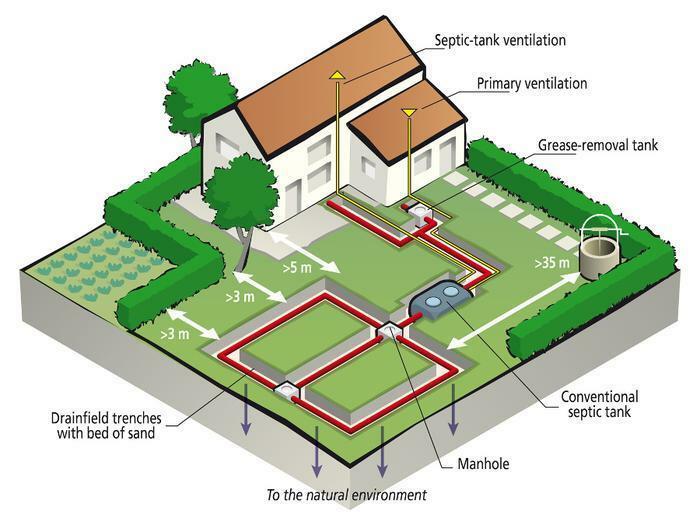 Are you ignoring your septic tank? How's your septic tank doing these days? It's probably not something you will be discussing at the next dinner party but it is something you may want to investigate. That's because almost half of all household septic tanks failed inspections and more than half of those failures were due to people not de-sludging their tanks. Did you know that you should periodically inspect your system and pump out your septic tank? If your septic system isn’t maintained, you might need to replace it, costing you many thousands of dollars. A malfunctioning system can contaminate groundwater that might be a source of drinking water. And if you sell your home, your septic system must be in good working order. To prevent buildup, sludge and floating scum you will need to do periodic pumping of the septic tank. You should do the pumping every 3-5 years. Systems with electrical float switches, pumps, or mechanical components need to be inspected more often. You -- or, more likely, someone you hire for the job -- want to look for leaks and look at the scum and sludge layers in your septic tank. If the bottom of the scum layer is within 6 inches of the bottom of the outlet tee or the top of the sludge layer is within 12 inches of the outlet tee, your tank needs to be pumped. If you are like me you may not be sure where your septic tank is. Your tank, drainfield and reserve drainfield should be clearly designated on the “as-built” drawing for your home. If you aren't sure where that is you can go to your local land records and find it. You can also see exactly where your property line is in case you have neighbor issues. You might also see lids or manhole covers for your septic tank. Older tanks are often hard to find because there are no visible parts. An inspector/pumper can help you locate your septic system if your tank has no risers. Beware of septic tank scammers. Some makers of septic tank additives claim that their products break down the sludge in septic tanks so the tanks never need to be pumped. Don't bet on it. You should still have the tank inspected -- and probably pumped -- regularly.